The primary goal of our Benelux asset management team is to build long term, mutually beneficial relationships with our tenant customers. This enables Cromwell to understand our tenants’ needs and flexibly meet their requirements. With more than 100 assets in Benelux, we are able to accommodate tenants in every part of the region. 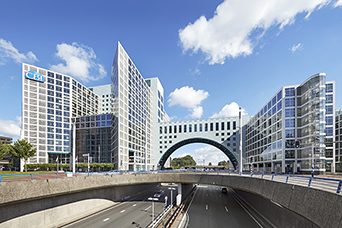 Central Plaza, Rotterdam, is a 33,415 sq m prime multi-storey building, comprising of 10 floors of offices, a shopping centre, casino and underground car park, located in Rotterdam’s central business district, opposite the Central Station. Central Plaza formed part of the €140 million UNO Portfolio, which was the maiden investment in 2015 by the Cromwell Netherlands Diversified Partnership. Upon acquiring the asset, the local Benelux team had a clear objective to stabilise the asset through a substantial leasing-up strategy, in order to create secure income by extending the leases of the key anchor tenants. This was achieved by signing new leases to key tenants, including: KPMG/Meijburg signing a long term lease on 5,826 sq m; Holland Casino significantly extending their lease on 9,255 sq m; and the renewal and expansion of leases with CoolBlue and Vapiano. This active asset management strategy has achieved a reduction in the vacancy rate of the asset from 30% to 2% and an increase in the weighted average lease expiry to 8.9 years. The result is the creation of an institutional grade product, with creditworthy anchor tenants (68% rate A+), which appeals to the institutional investment market. 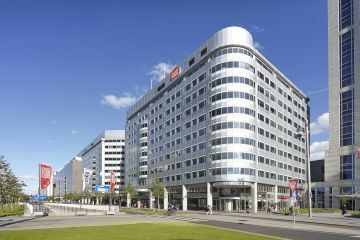 Huys Europa is a 6,131 sq m five-storey office building, located in Amsterdam city centre, close to the main railway station. Its tenants include Funda, Warner Bros, Holland & Barrett and Indeed. The asset formed part of the Zenith Portfolio which was acquired in 2016 by Cromwell’s Hummingbird joint venture with Goldman Sachs. When the Benelux team assumed management responsibility for the asset, its occupancy was 53% and the major tenant was dissatisfied due to issues with the building and its former owner. Negotiations commenced with potential new tenants and two new five year leases were signed at rents 20% above Business Plan levels. Within six months, the asset was fully let, with a stable weighted average lease length of five years. Upon completion of the Business Plan and having created an institutional grade product, with creditworthy anchor tenants, the asset was sold at a net initial yield of 4.8%. 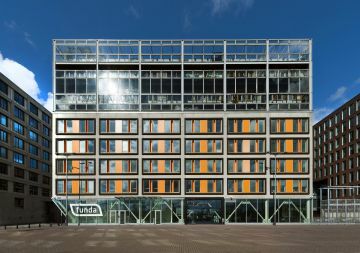 Koningskade 30 is a 5,696 sq m office building, located in The Hague. It forms part of an office portfolio acquired in 2015 by the Cromwell Netherlands Diversified Partnership from Kamer van Koophandel (KvK), the Netherlands’ Chamber of Commerce organisation, through a sale and leaseback transaction. With KvK occupying 17% of the building and the remainder of the asset unoccupied, the challenge for the Benelux team was to reposition the asset through a full refurbishment program and secure new leases with strong tenants. 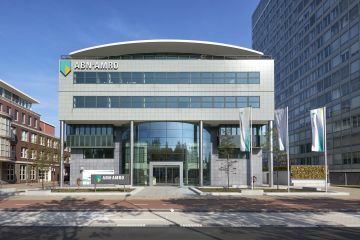 An early termination with KvK was negotiated and the entire building subsequently pre-let to ABN Amro on a 10 year lease, with an extensive renovation and fit-out program agreed. The overall vacancy of the asset decreased from 83% to nil and the weighted average lease length increased from five to 10 years, creating a core asset with a AAA rated tenant, making it attractive to the institutional investment market.